I’m not a particularly picky person, except when it comes to dates and men. I lucked out in the man department when I married my best friend 4 1/2 years ago… but I’m still working on learning to love dates. While I certainly love going to dinner and a movie, taking long walks on the beach, and enjoying romantic hikes in the forest… I don’t much care for date dates. The black, oblong super sweet kind of date that one eats. Dates are one of the major foods grown in Qatar, so the time has come to challenge myself with this treat once again. I found today’s cinnamon and butter laden recipe in the World Cookbook for Students. 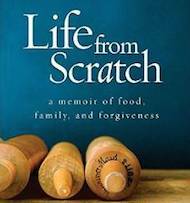 In my adaptation, the flavors combine into a simple and straightforward treat – something for everyday living. Also, the butter cuts some of the sweetness from the dates which is a definite plus in my book. P.S. 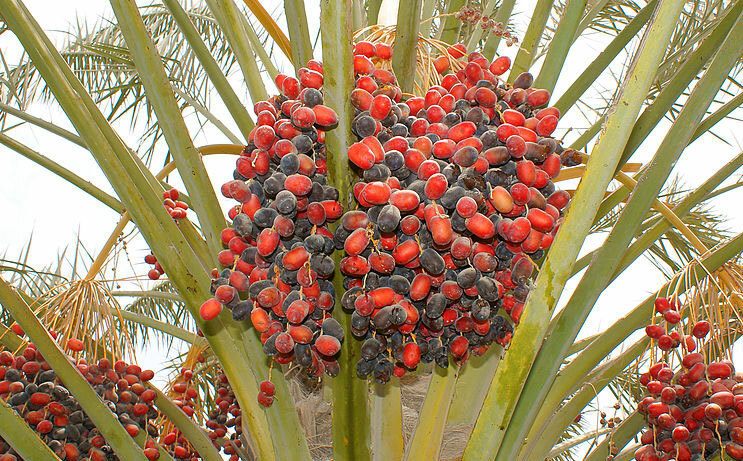 Here’s how dates grow, if you’re curious… it’s a long road from these plump jewels to the wrinkly, black nuggets we find in the grocery store. Date palm tree. Photo by Nepenthes. 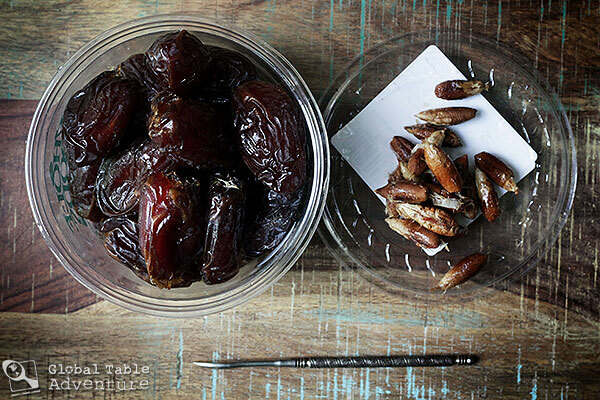 For this recipe you’ll need to pit a container of dates. I found using a walnut-meat pick to be extremely helpful (by spinning it around the pit to loosen it, I was then able to hook over the top of the pit and pull it out through the stem end of the date). Side note: I never gave much thought to walnut-meat picks until my mom’s care package that she sent to GTA a few weeks ago. Am I the only one with a walnut cracker and pick under the age of 75? 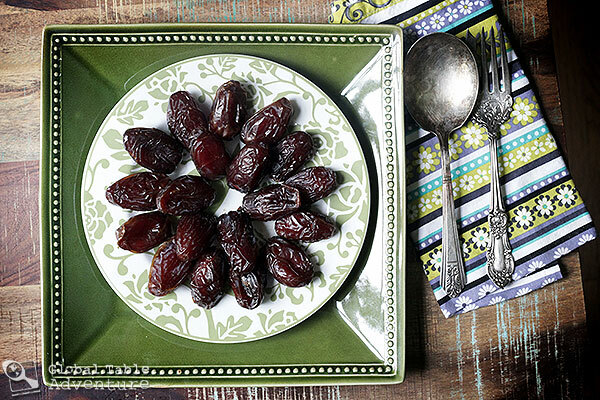 Next, arrange the dates on a pretty plate. Meanwhile, melt the butter and whisk in the flour and cinnamon. If you use unsalted butter, you may want a pinch of salt. Cook for a few minutes until thickened into a gravy like sauce (whisk constantly). Now, spoon the buttery cinnamon mixture over and around the dates. Let the warm sauce cool to room temperature, then dust like crazy with as much powdered sugar as you can stand. … and, just for fun, dive into these bites of Qatar and daydream your way to this view. 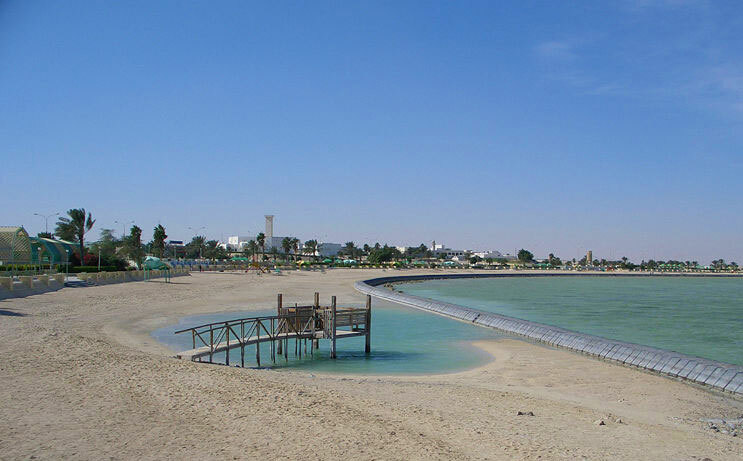 Beach in the town of Al Khor, Qatar. Photo by Martin Belam. 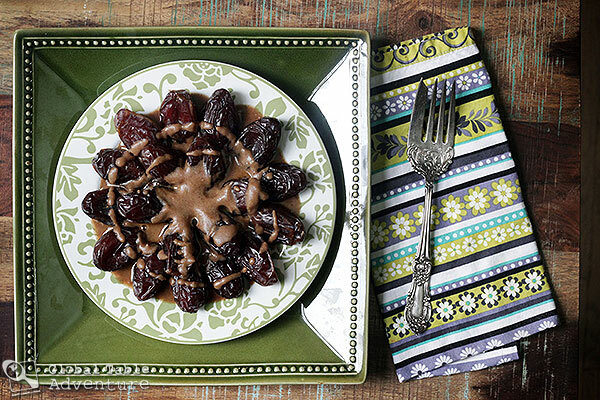 Next, arrange the dates on a pretty plate. Meanwhile, melt the butter and whisk in the flour and cinnamon. If you use unsalted butter, you may want a pinch of salt. Cook for a few minutes until thickened into a gravy like sauce (whisk constantly). I had never heard of a walnut pick before this morning if I must be honest. I am curious to see how you liked the dates, that is quite a bold dessert to choose if you don’t love ’em. I agree with Monique above: dates (and prunes) wrapped in crisp bacon are a great combination, although of course not fitting for Qatar for obvious reasons. We have plenty of them here, in Canada. And ’tis the season for them! 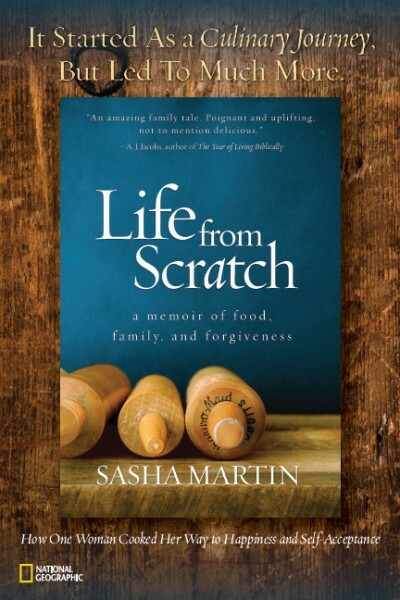 Sasha….another idea for dates if you don’t like the extreme sweetness….my mom used to put a dallop of cream cheese on top & then a whole walnut & serve them as a snack/appetizer….mmmmm. 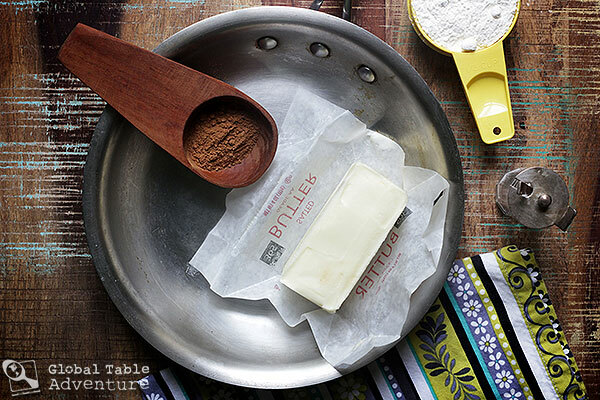 The recipe calls for flour in the ingredients list but it isn’t used anywhere. Is this a typo? Yes – good catch. It goes in the pan after the butter is melted. Thanks! I have always loved dates and I do have a walnut pick that was my mothers. I have nutcracker and picks – I almost never use them for nuts but they’re always useful for a variety of things. Then I realized I’m 63, so maybe I’m in the old lady category, too! 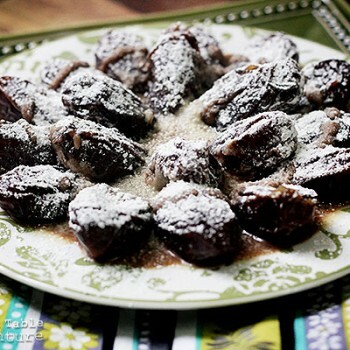 We grew up with pecan or walnut stuffed dates. They are also great stuffed with a filling of cream cheese, orange water, orange zest. When you live where pecans grow….yes, you have nutcrackers and picks (or grow your fingernails long to handle pecans, like my husband does). 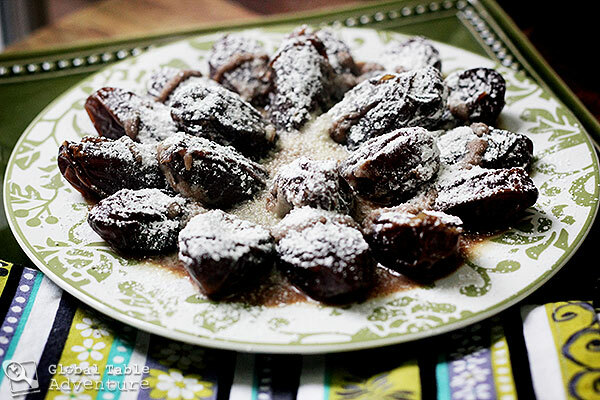 Dates stuffed with bleu cheese = perfection! We went to a “hurmaci” when we visited Konya, Turkey (a shop with nothing but dates from many countries). So many variations in size, shape, color and texture – probably one or two that would suit your palate. I just made these and the sauce tastes ‘floury’. I cooked it for what I thought was a long time, to try and get the flour texture to go away. Is it supposed to be that way? Other than that, they were really good! 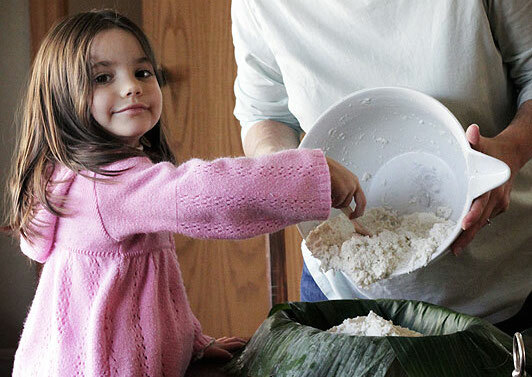 I’m teaching a ‘Cook Around the World’ class for a group of homeschoolers and your website has been a great resource! I also made your Turkish Stuffed Apricots and they were really good too!